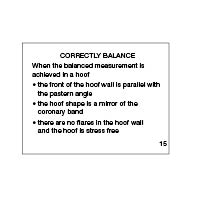 The hoof/pastern angle must be parallel. 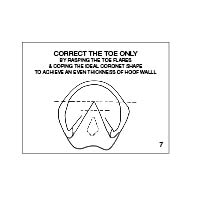 The front of the pedal bone must be parallel with the front of the hoof wall. 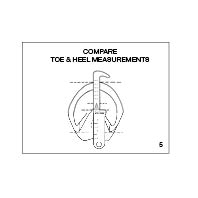 The soles must be concave and the bars dressed to be non weight bearing. 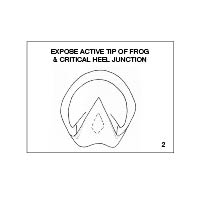 The active tip/sole junction of the frog must be clearly identified. 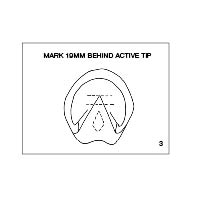 In the normal hoof, the tip of P3 can be identified and marked at 25mm forward of the active tip of the frog. 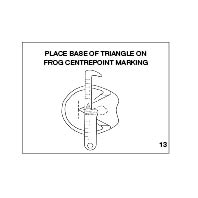 The frog must be cleaned along its sides in a straight line back to its widest points and junction with the heel of the hoof. 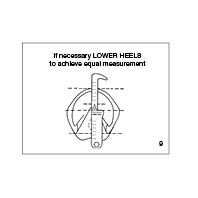 My reference is called the Critical Junction of the Heel. 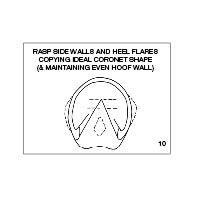 The cleaned sole should be concave in profile from the bottom of the sides of the frog, radiating outwards to meet the inside wall of the hoof. 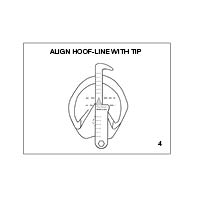 This clean sole/hoof wall junction is called the Road Map of the Hoof. 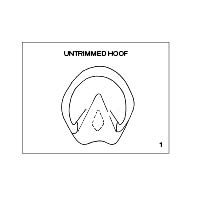 This road map in the bottom of the hoof is the mirror image of the pedal bone within the hoof capsule and also the same profile as the normal coronary band. 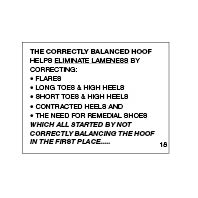 The ground bearing surface of the hoof wall must be of an even thickness outside the white line and from heel to heel. 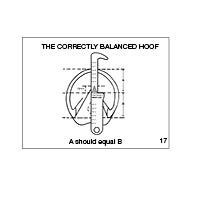 The Centre Point of Balance in the hoof is under the bottom most arc of the coffin joint. 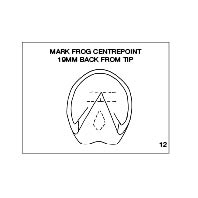 In the normal hoof, this Centre Point of Balance bisects the frog in the bottom of the hoof exactly 19mm behind the clean active tip of the frog. 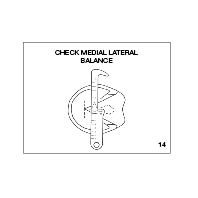 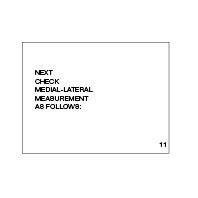 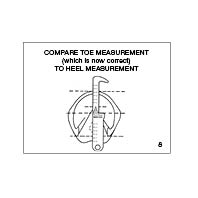 My HOOF-LINE Ruler is calibrated so that when it is placed on the active tip of the frog these measurements can be easily identified.